Our best soundtrack tournament continues with the first one-on-one match-up. 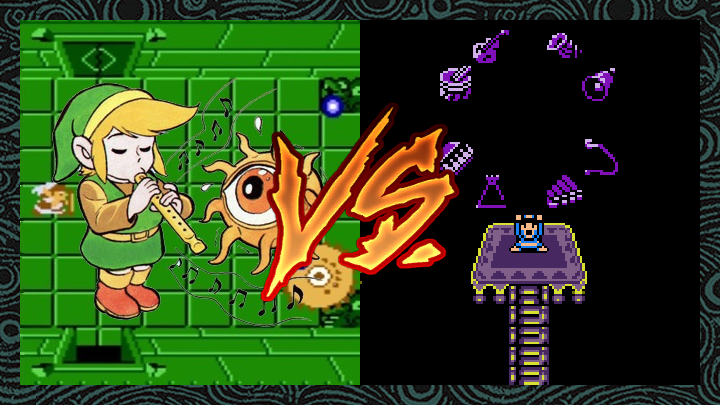 As the Zelda side games duke it out in yesterday’s poll, The Legend of Zelda and Link’s Awakening step into the fray. Our inaugural head-to-head contest places Zelda‘s first console game against Zelda‘s first handheld game. The original Legend of Zelda was a groundbreaking video game, proving that the medium was capable of epic adventures and grand worlds to explore. And the game’s music had a lot to do with that. As soon as the now-iconic Overworld theme kicks off and Link is dropped into Hyrule Field, the player is met with a sense of wonder and excitement. Even on the NES’ limited hardware, the environments of The Legend of Zelda were perfectly scored by Koji Kondo’s masterful melodies. The Dungeon theme, the Death Mountain theme, and even the Game Over theme were instant classics. In a way, the soundtrack of Link’s Awakening is a reaction to, or perhaps a subversion of, the music heard in the first Zelda. The Overworld theme of the Game Boy title starts the exact same way as the Overworld theme heard on the NES title, but gradually morphs into something completely new. Awakening‘s OST does this all the time, providing an almost familiar tune just assert its own identity in the end. It’s fitting to the game’s inherent weirdness, I suppose. This handheld adventure also brought us two of my favorite Zelda tracks: The Ballad of the Wind Fish and Link is Awake.